Islands of Cats: What do Japanese Reporter Miss Ayako Imoto and Chicken have in common? What do Japanese Reporter Miss Ayako Imoto and Chicken have in common? Cats !! Malta welcomed Miss Imoto Ayako (イモトアヤコ) and her TV team on Nippon TV mid September 2016 for the shooting of scenes for an upcoming episode (16 October 2016) of the popular Japanese TV show "ItteQ". 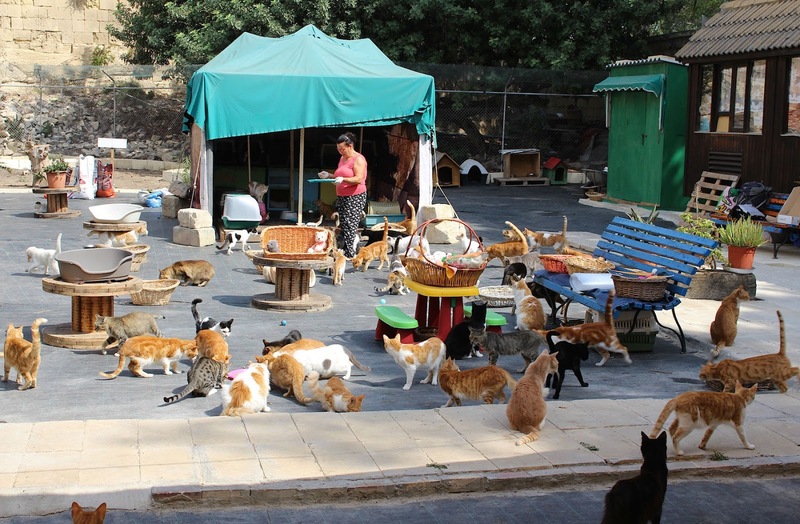 Besides diving at a tuna fish farm, making it up a greasy ramp in Spinola Bay, other fun activities, and showing the highlights of the Island of Malta, Imoto-san followed the meows of the 350,000 stray and feline cats that live on our islands. 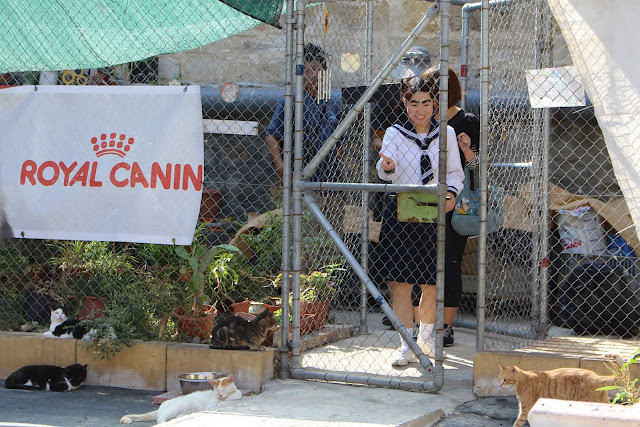 As strays are very shy by nature and the time for the shooting was very short, we helped arranging for a visit to the C.S.A.F. cat shelter in Cospicua. Doris Zarb, Founder of the CSAF Shelter, preparing for the shooting. 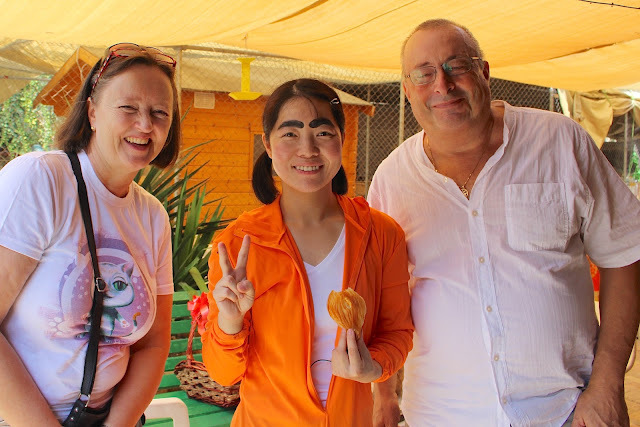 Nippon TV is a main Japanese private broadcaster and best known for its very popular Japanese entertainment show: “ItteQ - Let’s Challenge the World”, which airs every Sunday evening and reaches almost 20 million viewers (20% share) in Japan. Some episode make it even to other Asian countries. For ItteQ some very famous reporters travel around the globe to show different cultures and arts, new inventions, habits and sights, always with a funny touch that makes the program loved by all age groups. Miss Imoto (イモトアヤコ) entering the shelter, followed by her assistant and camera men filming. Imoto-san, Doris Zarb and a camera man checking out a possible scene. Please support the CSAF Cat Shelter and its ca. 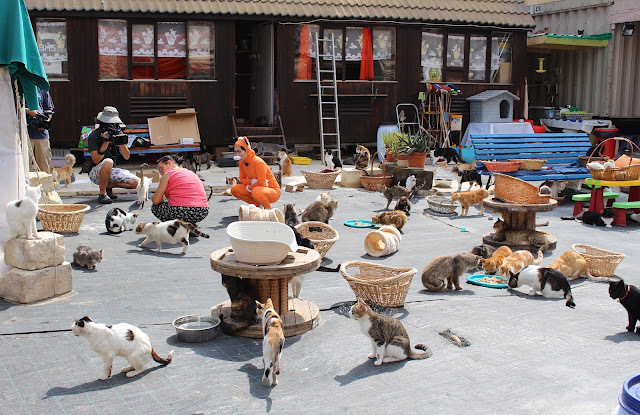 250 abandoned and feral felines. This NGO covers the daily costs in the range of 200-300 Euro for food, litter, medicine, neutering (EUR 45 per cat), water, electricity and run by volunteers, almost completely through donations. Send your contribution via PayPal to csafmaltafunds@gmail.com . Grazzi hafna ! !